Carol Ross Joynt is a Washington D.C. based writer, interviewer, broadcaster, photographer and public speaker. I am an avid reader of Carol’s great blog, ‘Swimming in Quicksand,’ and regularly read her contributions to Washingtonian magazine (where she is Editor-at-Large,) and the New York Social Diary. As a writer and a journalist, Carol’s career is one that inspires me. Carol worked with the esteemed Helen Thomas during her time at United Press International, covered antiwar stories in the 1970s and worked for Time magazine reporting about politics. She was a writer on the CBS Evening News, working with Walter Cronkite, and it was here that the efforts of her and her colleagues were commended with Emmys, the DuPont and Peabody awards for the program’s outstanding coverage of Watergate and Vietnam. Carol has also worked in producer roles at NBC, The Charlie Rose Show, Nightline, Larry King Live and Hardball with Chris Matthews. Carol also directed documentary films, notably for the National Gallery of Art. In 2011, Carol released her memoir titled ‘Innocent Spouse.’ The book chronicles her life following the death of her husband in 1997, and her subsequent fight with the IRS to gain innocent spouse status due to tax fraud by her late husband. Carol inherited the landmark Georgetown restaurant, Nathans, and it was here that she created the fantastic Q&A Café. Nathans closed in 2009, and the Q&A Café is now held at The George Town Club. Carol regularly interviews a range of fascinating individuals on all topics, and you can watch some of the recordings here. Innocent Spouse is truly one of the most fascinating memoirs that I’ve read, and Carol’s personal journey of survival inspires the reader to stay strong and make the most of every moment. 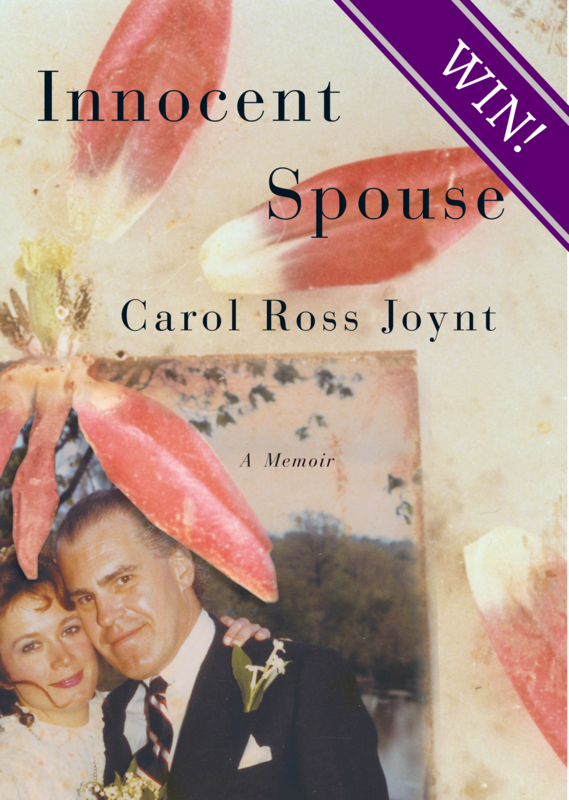 Carol has been generous to give a signed copy of Innocent Spouse to one lucky reader- further details on how to enter can be found following our exclusive Q&A. There have been many successes, especially early, as I began my career at age 18, and with no college education, only determination. At 22, when I started writing The CBS Evening News for Walter Cronkite, overnight I was earning more money than my father. That was odd. My son, now 22, could lap me. What goes round, right? Even with early success there were major hurdles, even roadblocks, but I viewed them as that river and that I had to get to the other side. Again and again, I’m bolstered by my family and friends. I do it for me, but also the people who matter to me. I’m as comfortable in my skin as I can be, but I’m still a work in progress and hope to always be. I know myself. I like the woman I see in the mirror. I’m open to the world and I love to adapt to change, to be as modern as possible. Just like everyone I can get low. I allow myself a pity party every now and then, but it has to be brief. Like a minute. Self-pity accomplishes nothing. Find the solution. Get through it. If you need help, ask for it. If help is offered, take it. To go forward, always, to not live in the past. Mooning over what’s been and gone can be a kind of heartbreak. Take from it what makes you stronger and move on. Why did you feel compelled to write Innocent Spouse and how has it helped you personally? It was in my DNA to share that story. If it could happen to me, it could happen to others. If I could get through it, others could, too. Writing it enabled me to purge a lot of the baggage of the 12-year saga. I’m a natural born storyteller, and that was my story to tell. How has your book helped other women who have experienced similar situations to yourself? I hope it has helped. I see it as a story of survival against the odds, being thrown into chaos with no guidebook. How many middle-aged female television producers suddenly become owner of a full-blown saloon on the busiest corner in town? In every way I had to keep calm and carry on, though on the inside I was confused, lost, vulnerable, scared. You name the anxiety and I felt it. All that mattered to me every day was not going down with the Titanic, which is how I viewed Nathans (fun on the upper decks, misery down below, and sinking). You have your own blog that chronicles your life in Washington D.C. What do you enjoy best about being a blogger? You’re also the brains and host of the Q&A Café series. What have you enjoyed most about doing the series and how do you see it evolving in the future? I love those 45 minutes of looking into the eyes of an interesting person and asking them questions I’d never get to ask them in any other setting. I have no idea where it will go. I’m thrilled every time I book a new interview, walk into the room, see the crew and the audience. Do you have any other exciting projects in the pipeline? Since I’m a sailor, finding my wind. All I do is work. Beyond that, I cherish any time with family and friends. I had some wonderful mentors in my early years. They were men, because those were the times. They’ve passed on, but the lessons remain. I have never had a woman mentor, oddly. I’ve come to admire HIllary Clinton. I warmed to her during her performance as Secretary of State and her relationship with President Obama, who I like a lot. That said I’m not sure she can win the White House, unless the economy improves substantially in the next year. People are hurting and voters will blame the Democrats. I admire women who are themselves and don’t succumb to the pressure to fit into molds. It’s tougher that way, I know. It breaks my heart to see what some women do to their faces and their bodies in this era to live up to a ridiculous standard of artificial beauty created mostly by people selling products. I admire the women who resist. Also, spare me women who hold their skyrocketing success over the heads of others, bragging. Often their opportunity is due to means and education and connections, but they soft sell that part and act like it’s that easy for everyone, when it’s not. Their message is: “I’m awesome. Buy my book and you can be awesome, too.” Yeah, right. It’s the quiet, steady and humble success stories that impress me more. 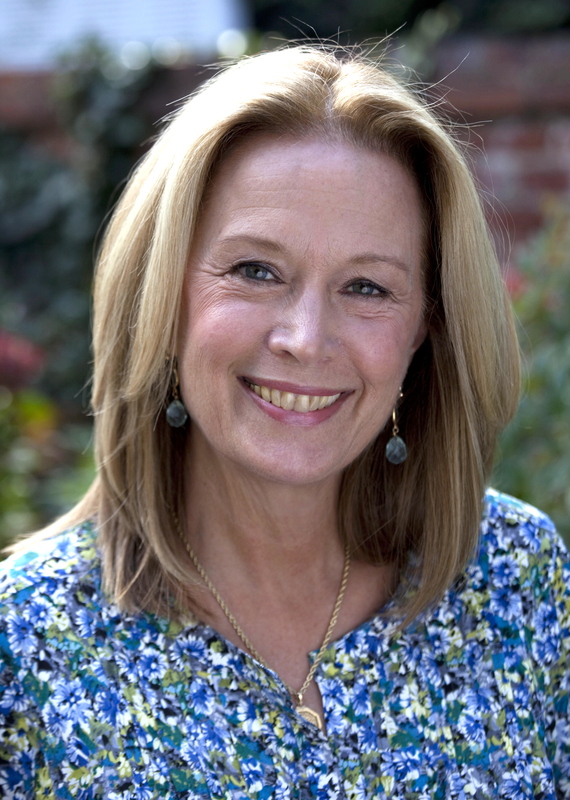 Fancy winning a signed copy of Carol’s gripping memoir, Innocent Spouse? Send an email with the title ‘Innocent Spouse’ to laura@womenin.org.uk by midnight EST on May 20th 2014. One winner will be drawn at random- and this giveaway is open worldwide.